What made this event a bit of a departure—and perhaps a sign of the times—was that Tesla was prepared to release quite a few facts and figures and specifics about multiple production versions. At first look—for a vehicle that won’t arrive for Americans until late 2020—Tesla was ready not just to build the hype, but help show right away how the Model Y pencils out. It’s fair to say the automaker is up against an entirely different set of hurdles than it was on March 31, 2016. That’s the day the carmaker gathered more than 115,000 deposits, at $1,000 each, in the 24 hours leading up to the start of the Model 3 launch event—before the sedan had even been shown. 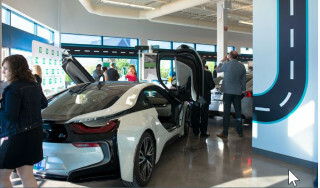 It’s the day that California’s electric automaker suddenly flipped from being mostly a curiosity of the mass-market automakers to serious competition for them—with the Model 3 eventually gaining in the vicinity of 450,000 deposits before deliveries started. Three years later, affordable long-range electric vehicles no longer have such a pent-up demand. In another year or two when the Model Y arrives, shoppers—even those who prefer Tesla—will likely have many more choices. So will what appears to be an apples-to-apples translation of the Model 3 to crossover form be enough? With about the same parking footprint—perhaps a few inches longer, as Tesla can't yet confirm the final dimensions—the Model Y offers what we noted to be a relatively roomy interior, with a slightly higher seating height and plenty of headroom. 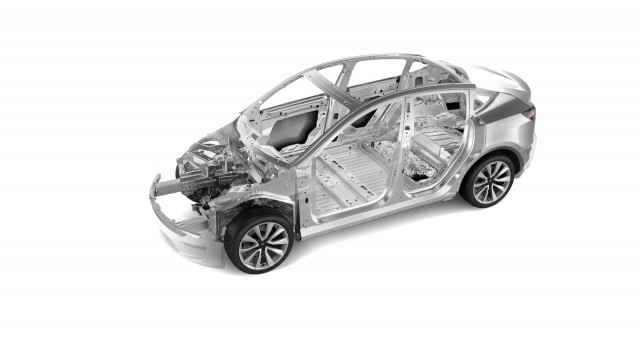 Its special features versus Model 3 appear to primarily be what’s behind the three-segment folding rear seat—an especially deep cargo area, beneath a hatch shaped much like that of the Model X, and two available very small forward-facing third-row seats so as to hold a total of up to seven. Just as Model 3, the Model Y will be offered in Standard Range and Long Range versions, with Dual Motor and Performance variants. According to Tesla, the Model Y Standard Range will offer 230 miles of range while the Long Range version will go “up to 300 miles”—that’s for the Long Range rear-wheel drive model. There was no verification from the company that battery packs will be the same as Model 3, but with range and performance down slightly from the equivalent sedan, that’s likely. Acceleration to 60 mph is specified in as little as 3.5 seconds, or 5.9 seconds for the Standard Range. Top speed is listed as 120 mph for the Standard Range, up to 150 mph for the Performance. “It has the functionality of an SUV but will ride like a sports car,” said Musk, who noted its cornering. The new SUV also has a 0.23 drag coefficient that should make it quiet and efficient on the highway relative to other models in the class. Musk even said in discussing the panoramic roof that the Model Y “feels just like the Model 3” inside. Its dash and door trim and materials looked quite the same, as did the 15-inch horizontally oriented touchscreen for “all of the car’s controls,” as Tesla puts it. The Model Y has the same entry and control system that, as with the Model 3, requires no keys and is smartphone based, activating the vehicle when you’re a few paces away and shutting it down and locking it as you leave. Standard Range models can be equipped with the Premium Interior, with 12-way power-adjustable front and rear heated seats, a three-segment folding second row, 14-speaker audio (plus subwoofer), and a center console with four USB ports and docking for two phones. The Y comes with a suite of 12 ultrasonic sensors and a 160-meter forward radar system. By the time it comes out, Musk emphasized, the company aims to be “feature-complete” with Full Self-Driving, meaning the software will be in place allowing the vehicle to perform an expanded range of automated functions. With the V3 Supercharger hardware that Tesla revealed last week, a 15-minute recharge can gain 168 miles of range. The cost of the Model Y Long Range will be about $47,000, with Standard Range one at a $39,000 price point—so $48,200 and $40,200 with the mandatory $1,200 destination fee. The more affordable Model Y will be produced some months later, hopefully not echoing the lag and drama over the $35k Model 3 Standard Range. 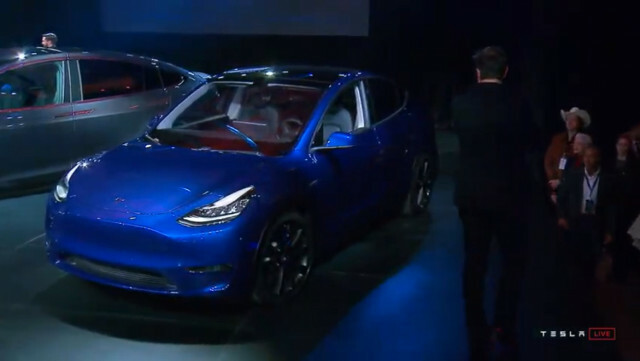 Production for the Model Y will start in late 2020 in North America, according to Tesla, and in early 2021 in Europe and China. 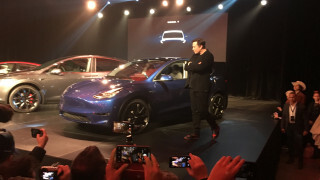 The Model Y Standard Range will be built starting in early 2021 for North America and early 2022 for Europe and China. 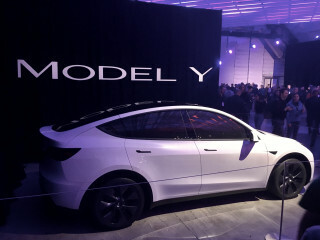 On Tesla.com, you can already build and order a Long Range Model Y, with $2,500 down, today—which is one of the key differences versus Model 3, where the $1,000 merely secured a spot to be able to build a car later. Given the popularity of SUVs in the U.S., the Model Y is likely to be even better-received than the Model 3—if it can skip to a drama-free production ramp-up as well as it skips the Model 3 hype.